A Winter Haven man is facing multiple felony charges after he burglarized two businesses and a vehicle over a three-day period. Officers located 49 year-old Keith McKelsie Brown (7th St NE, Winter Haven) after he had just burglarized the American Legion Post, located at 301 Ave M, NW. The series of events started on April 8 around 20 minutes past midnight when officers patrolling the area around Farm Fresh Market (1420 1st St N) heard an audible alarm sounding. When officers checked, they found a door to the business had been pried open. Reviewing video footage, a male wearing a ski mask, later identified as Brown, is seen entering through a gate just after midnight and prying a freezer door open. He is also seen attempting to enter the grocery section of the business, however it appears the audible alarm scared him off. At that time, the store representative did not locate any items missing. However, when the store re-opened for business, $200 worth of meat was missing. Another check of the video footage shows the same male approaching the door at 2:09 a.m. and pried the same door open ultimately entering the freezer and taking the boxes of meat. The next day (April 10), officers were called to the same location for the burglary of a vehicle on the property. Video showed a subject with similar clothing and wearing the same style of ski mask attempt to pry the door open to the business. When he was unsuccessful, he is seen using the pry bar to shatter the passenger-side window of the truck. He is seen entering the vehicle and moving around, but nothing was taken. His greed got him on the final burglary when on April 11 just before 2 a.m., police responded to an alarm call at the American Legion Post on Ave. M NW. Officers found the glass door on the west side of the building was shattered. A black male wearing black pants and a white t-shirt carrying a white bag was seen leaving the area away from the business. 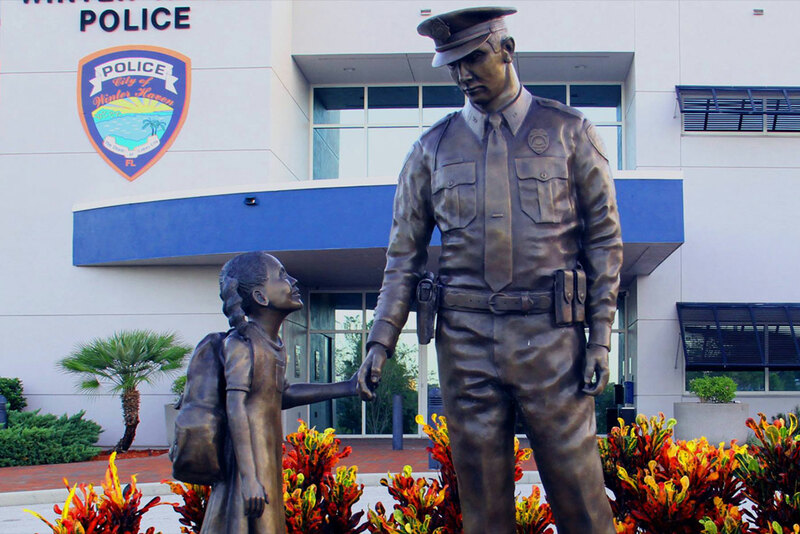 When he saw officers, he quickly attempted to hide. A K-9 track was conducted and with assistance from Polk County Sheriff’s Office air unit, the subject, identified as Keith Brown, was located. He was carrying a bag with several bottles of liquor and eating a bag of Lays BBQ potato chips. After reviewing video at the American Legion, the subject matched the description of Brown. When Brown was searched, officers located a glass pipe with residue testing positive for cocaine. 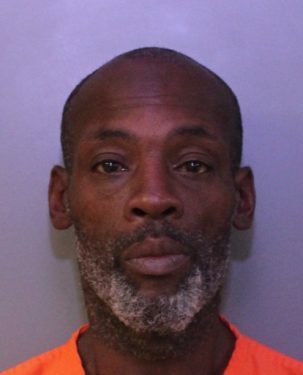 Brown was booked into the Polk County Jail for the American Legion burglary and investigators were able to connect him to the prior burglaries at Farm Fresh. When interviewed, Brown said he sold the meat for money to purchase drugs. Brown remains in the Polk County Jail on three counts of Burglary of an Unoccupied Structure (F2), one count of Attempted Burglary of Structure (F2), one count of Burglary of Unoccupied Conveyance (F2), Felony Petit Theft-third offense (F2), Dealing in Stolen Property (F2), Possession of Cocaine (F3) and Possession of Paraphernalia (M1).